YOU(TH) DID IT! Thanks to your efforts, young people turned out in record numbers for the midterm elections. Early indicators place youth voter turnout (18-29 year olds) at 31%— almost 50% more than the turnout in 2014. 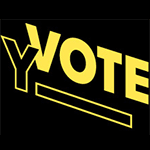 When we launched YVote in the spring of 2017 with a commitment to building an early motivational runway for high school youth to become informed, engaged voters, we got feedback from some “experts” that our goals were overly ambitious–that 18 and 19 year olds don’t vote and that time and effort would be better spent on college students or people in their 20s. We felt STRONGLY that the absence of meaningful voter engagement efforts with teens was a missed opportunity. The last 18 months have borne that out, thanks to you and to the efforts of so many amazing allies across the country. And the next two years have the potential to further demonstrate this: there will be 22 million young people eligible to vote in 2020 who weren’t of age in 2016. While there’s a lot to be happy about with youth turnout, there is a lot more work to be done. 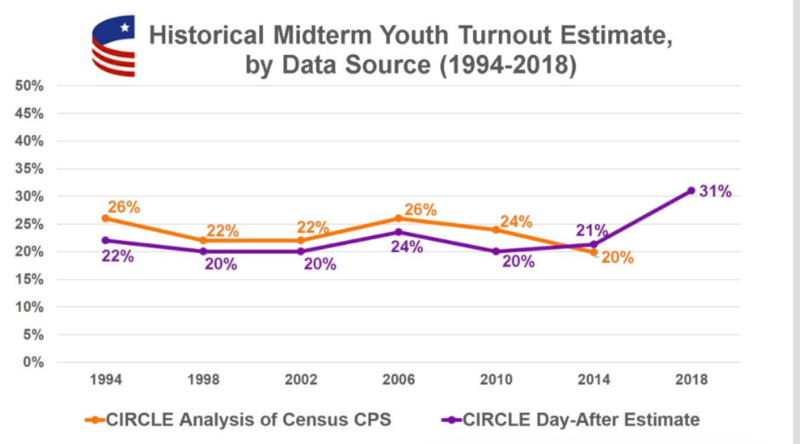 Overall, the youth demographic only accounted for 13% of all voters in the 2018 midterms, despite constituting 21% (and growing) of the voter eligible population. This percentage hasn’t risen despite the percentage of youth in the overall population growing dramatically (because older folks turn out in much greater numbers.) Getting the percentage up is vital to changing election outcomes AND to ensuring that electeds and politicians pay attention to your priorities as the largest, most diverse, most progressive segment of our population. As was the case with the larger election, we have ripples if not outright waves–and ripples are really meaningful given larger demographic currents that will strengthen the ripples with the right kind of work in the future. We’re not just working towards a youth wave, we’re working towards a youth tsunami. THANK YOU THANK YOU THANK YOU–and onwards we go!